For those with a discerning palette, there is a plethora of fine dining options available throughout Dubai. The local food scene has evolved into a highly competitive, consumer orientated and innovative market. It is a tough industry to enter with an alarmingly high percentage of restaurants closing their doors within months of opening. We take advice from Bhupender Nath, Founder and CEO of Passion F&B, the management behind award-winning Tresind Restaurant, Dubai on what it takes to stand out and succeed. Nath should know. Since launching in 2014, Tresind has received several highly coveted awards including Zomato user popularity award for Highest Rated Restaurant 2015 and Best Fine Dining Restaurant in Dubai from Masala! Awards 2015. Most recently, Timeout 2016 awarded Tresind with Highly Commended Indian Restaurant. His top rules for longevity in the food and beverage industry are simple; provide the very best customer service, and measure customer satisfaction. Read through Zomato reviews to gauge how consistently delighted customers are with the faire and service on offer at Tresind. No guest leaves Tresind without first completing a short survey. Nath emphasizes that if you treat your customers with respect, and acknowledge their feedback they will become raving fans and thus, the best advertising. Nath attributes much of Tresind’s success to teamwork and flexible leadership. He rather humbly admits to simply ‘having the ideas’. In choosing the right people, allowing them autonomy and seeking their input, his ideas have transformed into a profitable working model. Implementing uniform operating systems and providing adequate training ensures that all staff can confidently detail the rustic origins of each dish coupled with the scientific processes of molecular gastronomy. 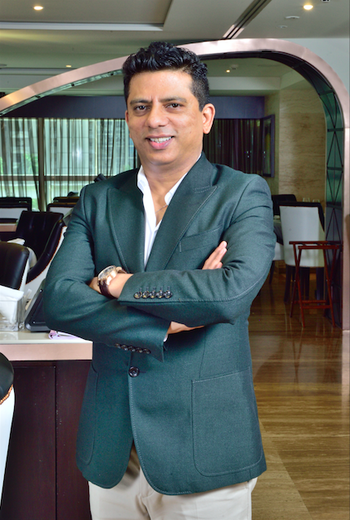 Under the leadership of Chef Himanshu Saini, an attentive, informative and happy team delivers a unique dining experience to each and every guest. Not surprisingly, Nath places a high priority on ‘good food and innovation’. He has been completely committed to the core values and concept of Tresind from inception - to deliver the classic flavors and most popular versions of Indian street food with an innovative twist to the upmarket dining tables of Dubai. By contrast, Nath concedes many failed restaurateurs lose faith in their own culinary vision, trying to please all tastes and thus diluting their brand. As with any business model, failing to plan and then not sticking to that plan will lead to failure. Nath also emphasizes the need to achieve a balanced ‘ambience’. complimentary to the menu and brand, while avoiding an excessive investment in the initial fit-out. Investing in your time to choose a suitable location and venue is key to attracting the right type of clientele in the long-term. Born to a successful Hotelier, Nath always had a powerful urge to launch his own hospitality business. He experienced a diverse career path with various international Food and Beverage and Trading projects before settling in Dubai. A successful business owner, Nath stresses the need for would-be restaurateurs to invest in good financial systems and embrace a hands-on approach to the day-to-day running of their business. Adequate working capital will ensure the restaurant remains open for business and long-term goals are achieved. Nath knows what he does best, and places value on his time to focus on achieving core goals. He emphasizes the practicality of outsourcing projects that require specialist skills. When his instinct guided him to launch Tresind in 2014, Nath did not hesitate to seek guidance from several local advisors. Nath utilized the business setup specialists at CREATIVE ZONE to register his company in Dubai. 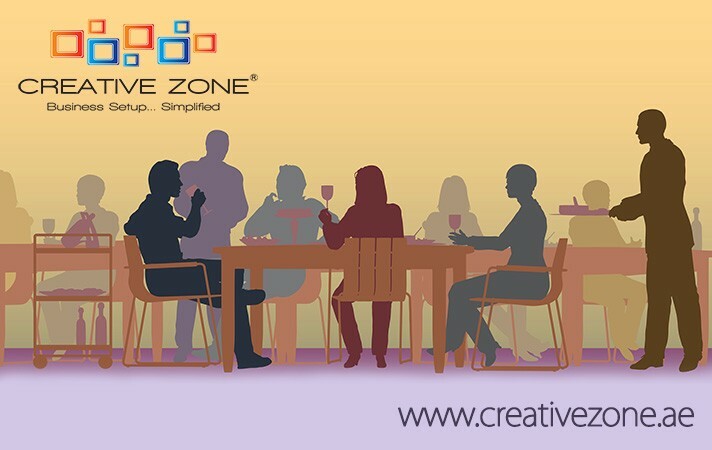 Business setup laws can be complicated and he found the one stop solution offered by CREATIVE ZONE to be very clear and client orientated, which allowed him to simply focus on the Restaurant concept. He also sought out a reputable PR firm with proven credentials to help create a buzz around the pre and post launch of his new restaurant. Tresind now has an in-house Marketing and Communications Manager who ensures the restaurant branding is consistent across all media channels. The personal touch is important for Nath who still reads guest feedback before reviewing sales reports. He says that seeking and acting upon guest feedback should always be a priority, especially across social media platforms. Nath proudly boasts that Tresind is a Dubai brand; born here and loved by locals and visitors alike. To replicate such success, he recommends the would-be restaurateurs remain committed to innovation, look to modern marketing practices, prioritize customer service, but to also stay true to their heart and forge their own niche.